Film Achievement: Mars Ravelos serialized comics directed by Emmanuel H Borlaza. Film with Edgar Mortiz. 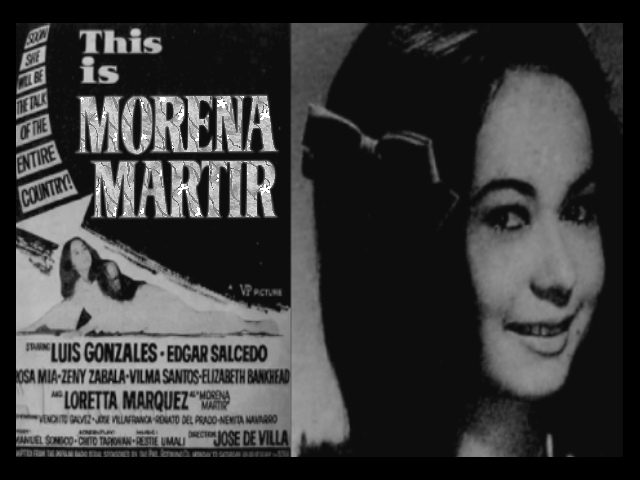 Film Achievement: Loretta Marquez was given top billing in the 1965 movie, “Morena Martir,” adapted from the popular DZRH radio serial.